This high quality, Toyota New Camry replacement door is made of high quality materials for long lasting performance. Comes with holes for door handle and key, and backed by 1-year unlimited mileage warranty. 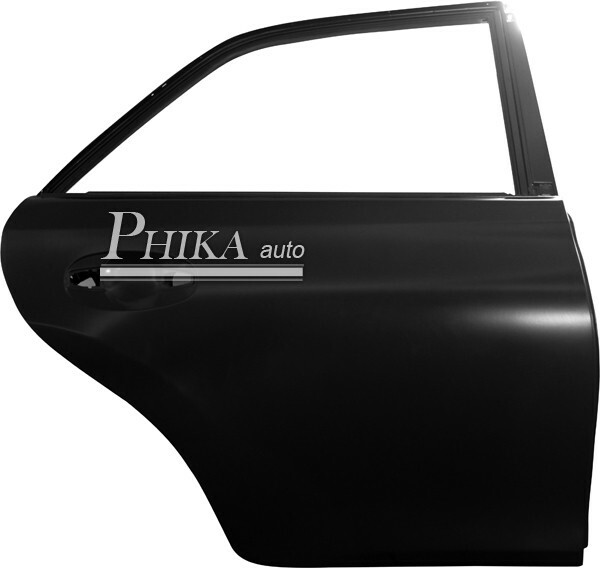 Our replacement doors are stamp die cut for a perfect fit for your vehicle; It went through 500 hours salt sprayed test to make sure it is corrosion resistant and Electro Deposit Primer coated for strong and durable protection. Are the scratches and dents on your vehicle's doors becoming too many to ignore? Don't worry; replacing the entire door isn't your only option. Since the damage may be limited only to the door's surface, you could opt to replace just the door shell. The door shell is a sheet of metal that makes up part of your vehicle's exterior, and to which the interior door panel is attached. The Toyota New Camry door shells are also in stock for you to choose. Foam sheet are used inside the carton to prevent any small damages. Besides that, tripod is used at the door Corner to prevent damage during transportation. For the full container order, the door’s carton will be the same shape as the doors to save space. For LCL orders, we will pack the door in square caton box.